A nanny out of Navi Mumbai, performed a shocking act of abuse after she abused a 10-month-old child. She allegedly brutally beat up the 10-month-old in a play school in Navi Mumbai’s Kharghar area. 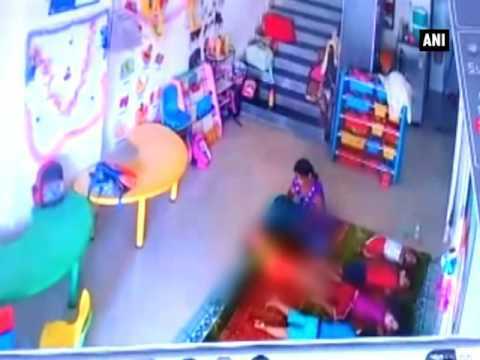 What the nanny did not realize was that the whole incident was recorded by a CCTV camera installed in the room. Police arrested the woman and she denied even touching the boy or and says she had nothing to do with the boy’s broken ribs.